Here is your chance to win the mother of all personal finance books – “The Richest Man in Babylon” (link to amazon.com). This is by far the best personal finance books I have ever read! See below for more information. All you have to do is write a short post that links to Financial Jesus (www.financialjesus.com) from your website or blog and leave a comment on this post letting me know where your post is located! The first link must have Financial Jesus as the anchor text – meaning that the word “Financial Jesus” must link to www.financialjesus.com. The second link must have the title of the post as the anchor text. For example Top 10 richest countries of the world – notice that the text linked is also the title of the article! The winner will be selected randomly by me. 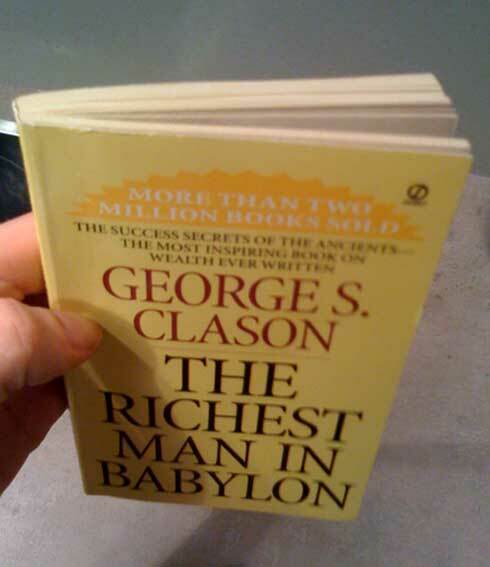 I have read more than a hundred personal finance books in my lifetime and I have to say that “The Richest Man in Babylon” is by far my favorite. The book I am giving away has been read once by me and is in excellent condition. It is a small book that carries the most powerful message on how to get rich that I have ever seen. The book gives you a simple 7 step process on how to get rich. I am continually amazed at how a book so small can contain so much content and be so powerful. This book should be mandatory reading beginning at the grade school level through college and should be given as a gift right along with a diploma. This has been the most influential book I’ve ever read. When I got this book, it was at a time in my life that I knew I had to figure out how to handle money and I was reading several books about the subject. This was the most effective of all because it put things in terms of common sense and timeless wisdom and I can not say enough about it. The competition ends and the winner will be announced next Tuesday on September 29th 2009. In addition to the winner’s name we will link back to his or her website! The winner will also be contacted by email in order to specify the address he wants the book to be mailed. In spite of our traffic going up, a lot of readers are not leaving comments and are at times quite passive. We are trying to make Financial Jesus more fun by getting people to share their opinions and to leave comments! Yes it’s true – why shouldnt it be?